Sweet Corn Pudding (Che Bap) - Fresh Summer Corn Recipe with Video! Enjoy the amazing flavors of fresh summer corn with this easy recipe for Sweet Corn Pudding (Che Bap). 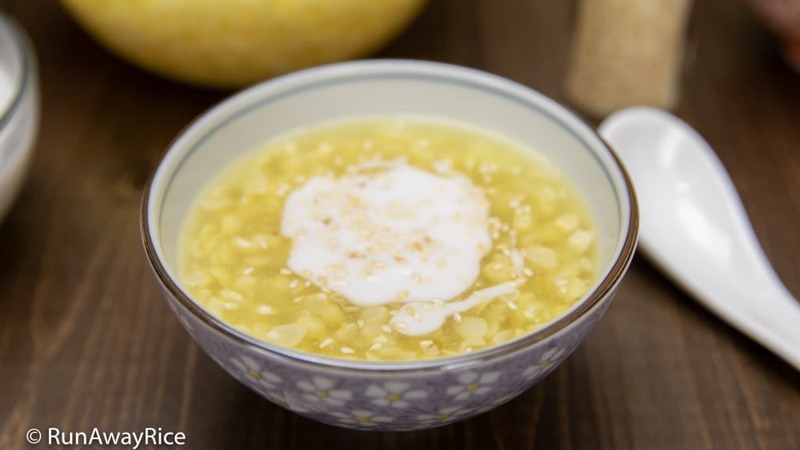 Juicy and sweet summer corn is cooked into a hearty pudding infused with Pandan aroma. Serve the Sweet Corn Pudding topped with creamy coconut sauce and roasted sesame seeds for a tantalizing and decadent dessert. Pandan leaves impart such lovely aroma to desserts so don’t skip it. I have a lovely Pandan plant growing in my backyard but it’s still too young to harvest any leaves. The Pandan leaves I am using are from the Asian grocery store and previously frozen. Make sure to wash the leaves thoroughly with cold water as they can be pretty dirty. Use 2-3 Pandan leaves, approximately 8-10 inches long. I tie the leaves into a bundle so they fit easily into the saucepan. If Pandan leaves are tough to find, you can substitute with 1/2 tsp vanilla extract. 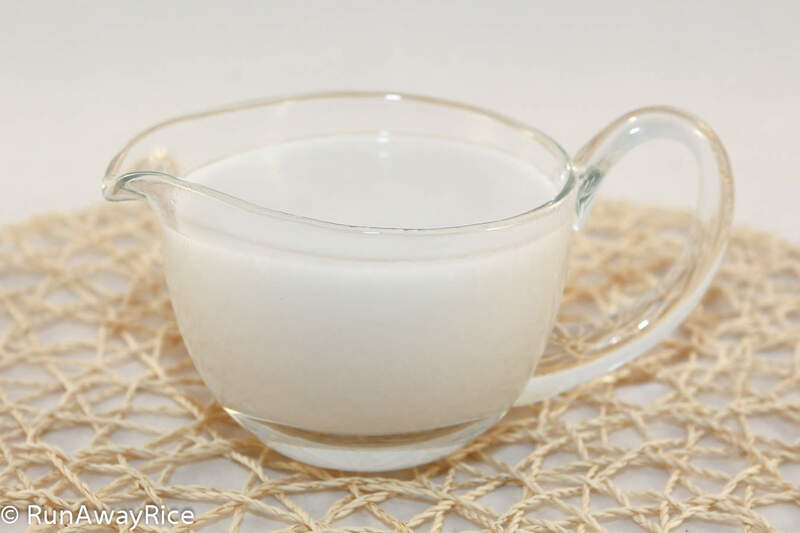 The tapioca pearls are the thickener for the pudding. These tapioca pearls are tiny not like the boba-sized ones served in bubble tea. 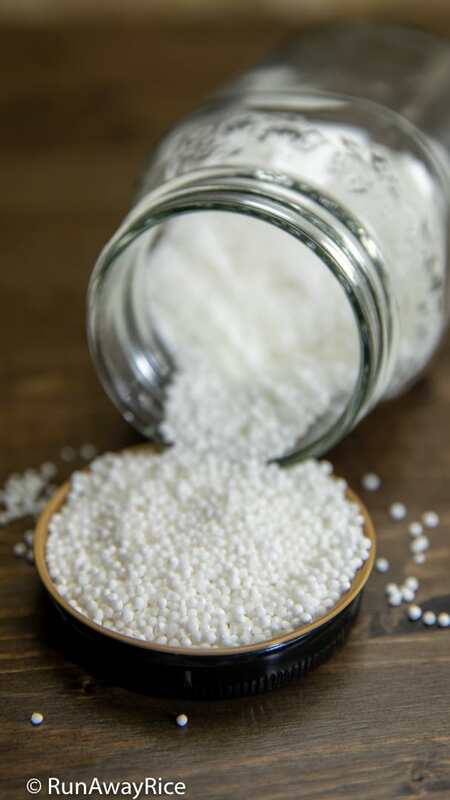 Tapioca pearls can be found at the Asian grocery stores in the section where flours and starches are sold. If you don’t have tapioca pearls, replace with the same amount of tapioca starch or corn starch. If you like the chewy texture of the tapioca pearls, you can certainly add more. 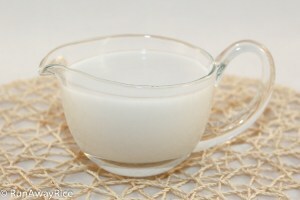 Keep in mind the tapioca pearls continue to absorb water from the pudding. 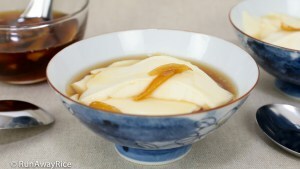 If you’re increasing the amount of tapioca pearls and also chilling the dessert, you may have a really thick pudding. Thinly sliced corn gives the pudding a more delicate texture. Thick-cut or whole kernels would add too much texture to this smooth dessert. I’ve found the best tool to use for this job is a sharp paring knife. Cut along the length of the corn, shaving the corn to the cob. Without a doubt, there will be corn bits flying everywhere as you prepare the corn. A good way to catch most of it is to slice the corn into a big bowl or a large baking sheet. 2 large ears of corn yield approximately 2 1/2 cups sliced corn. This Sweet Corn Pudding is a wonderful dessert to enjoy year-round. During the colder months, I serve it warm and during the summertime, I chill it for a refreshing and cooling treat. If you are serving it warm and would like a thicker pudding, decrease the water by 1/2 cup and add another 1 Tbsp tapioca pearls. Enjoy the amazing flavors of fresh summer corn with this easy recipe for Sweet Corn Pudding (Che Bap). 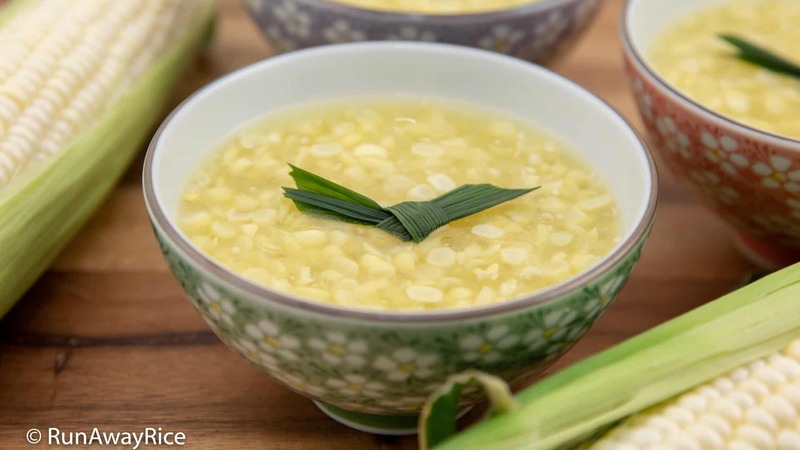 Juicy and sweet summer corn is cooked into a hearty pudding infused with Pandan aroma. 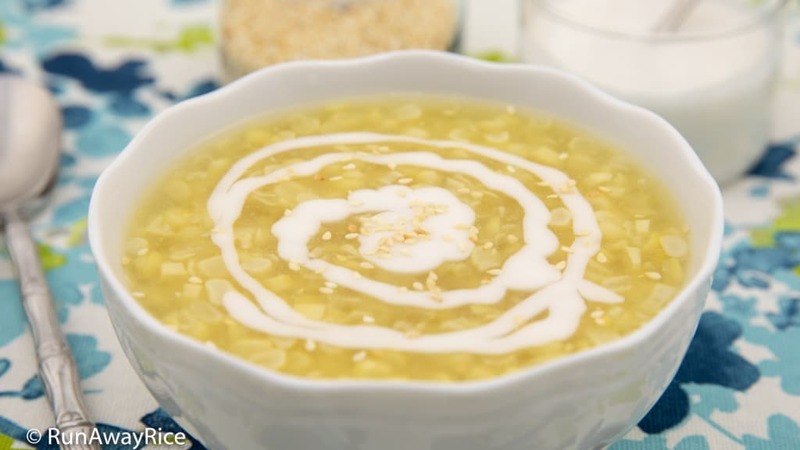 Serve the Sweet Corn Pudding topped with coconut sauce and roasted sesame seeds for a tantalizing and decadent dessert. 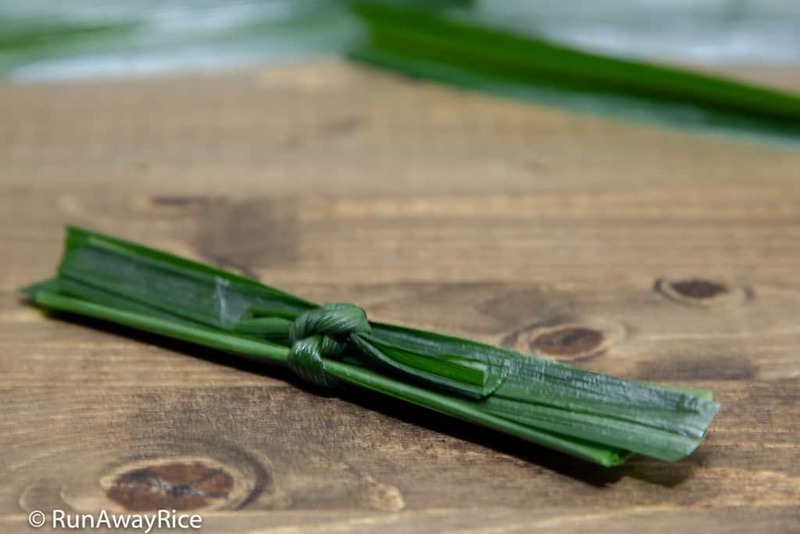 Cut the Pandan leaves into 6-inch sections and tie together in a bundle. Set aside for now. Remove the husk from the corn. Brush off the silk using a corn brush or pluck with your fingers. Rinse the corn with cold water and pat dry using paper towels. 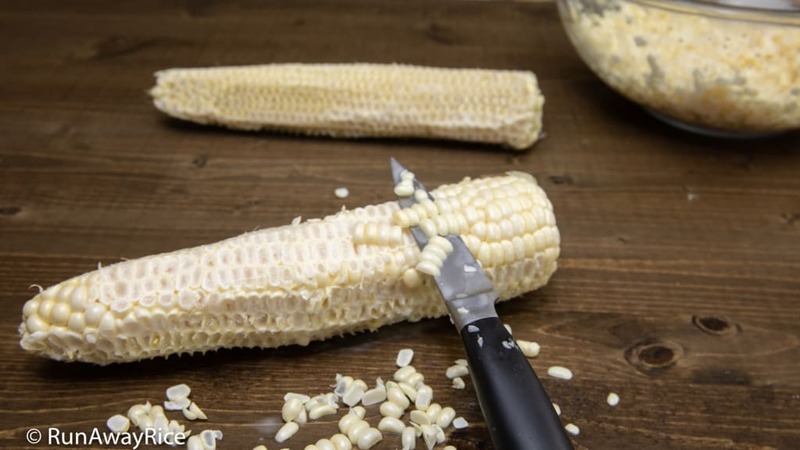 Using a sharp paring knife, run it along the length of the corn, thinly slicing the kernels. Continue thinly slicing the corn until you reach the cob. Use your fingers to toss and separate the kernels. Break both cobs in half and transfer into a medium saucepan. Add the Pandan leaves (prepared earlier) and water. Cover the pan and bring to a boil over High heat. Once it comes to a boil, stir, reduce the heat to Low and cook for 10 minutes. During this time, soak the tapioca pearls in hot water. Remove the cobs and Pandan leaves from the saucepan and discard. Add the sliced corn, sugar and salt. Bring to a boil over High heat. Once it comes to a boil, reduce the heat to Medium and cook for 3 minutes. Skim off any foam from the top. Drain the tapioca pearls and add into the pan. 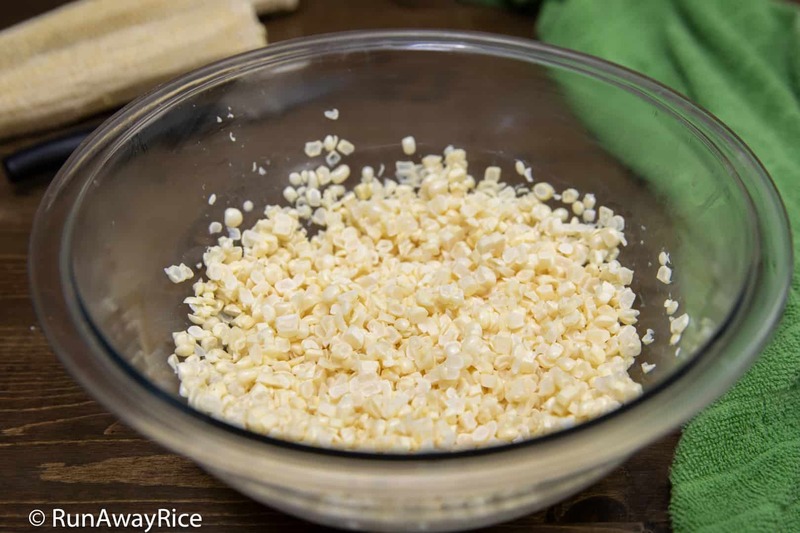 Stir gently and cook for 5 minutes or until the tapioca pearls float to the top. Add the yellow food coloring and combine together. The Sweet Corn Pudding can be enjoyed warm or cold. Refrigerate for at least 2 hours if serving the pudding cold. To serve the Sweet Corn Pudding, transfer a generous amount into a bowl. Top with sweet coconut sauce and roasted sesame seeds. Use fresh corn: white, yellow or bi-color. Frozen whole corn works as well. 2 large ears yield approximately 2 1/2 cups sliced corn. Substitute Pandan leaves with 1/2 tsp vanilla extract. If you don't have tapioca pearls, replace with the same amount of tapioca starch or corn starch. it look delicious and easy to make. Thks you Ms Trang, I appreciate all your videos. My boyfriend and I made this yesterday and had no idea it was so easy to make. We had it chilling in the fridge but kept taking spoonfuls to “test” if it was ready, lol. What a wonderful way to enjoy summer corn. There is so much corn here in PA and it’s really cheap this time of the year. Next time we will make a double recipe for sure. Thanks for sharing this awesome recipe! 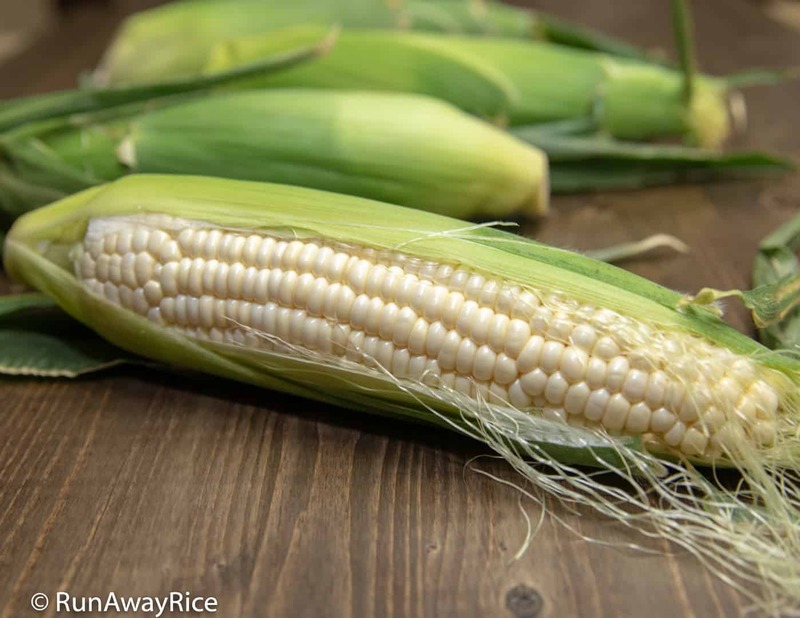 Hi Trang, yummy I will cook today, corn ear very good price in this season, thanks for posted.